The Eco-Digital Fabrication (EDFAB) research project aimed to investigate how automated prefabrication technologies and off-the-shelf construction products can be employed to disrupt building industry norms. The aim of this research – conducted at the University of Auckland and Unitec Institute of Technology from 2014 onward – was to provide small-to-medium enterprises in the construction industry with a pathway to upskill and increase construction productivity through the use of these processes. The availability of automated machines and easy-to-use fabrication software is increasing dramatically and this can be paired with readily-available construction products to produce novel mass-customised housing solutions. 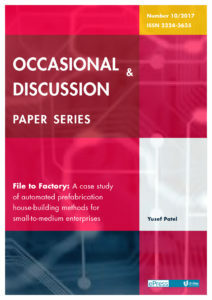 The research project aimed to generate discussion and provide recommendations on how the construction industry might support the adoption of automated prefabrication technology in small-to-medium enterprise. 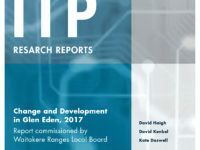 This paper is a longer version of a Building Better Homes Towns and Cities National Science Challenge think-piece commissioned by BRANZ for publication in early 2018.